These are some of the products that we can supply you with to give you what you need to enjoy your hunting, fishing, or shooting experience. We also offer gun rental to let you try out a gun before you buy it. By renting a gun before you decide to purchase it, you can test out how you like the particular feel of the gun before wasting your time and money. We will also supply hunting and fishing licenses to get you out there and enjoying the outdoors in no time! Daryl's Gun Shop also has an indoor and an outdoor gun range just a short distance from Waterloo, Iowa. Both ranges open at 8am, giving you the time that you need to hone your skills with guns that you have yourself or that you may want to purchase in the future. Call us now to schedule a time and purchase the necessary targets and ammo for your next outing at the shooting range. We even offer conceal carry classes near Waterloo, Iowa to help you learn the ins and outs of guns and gun safety. 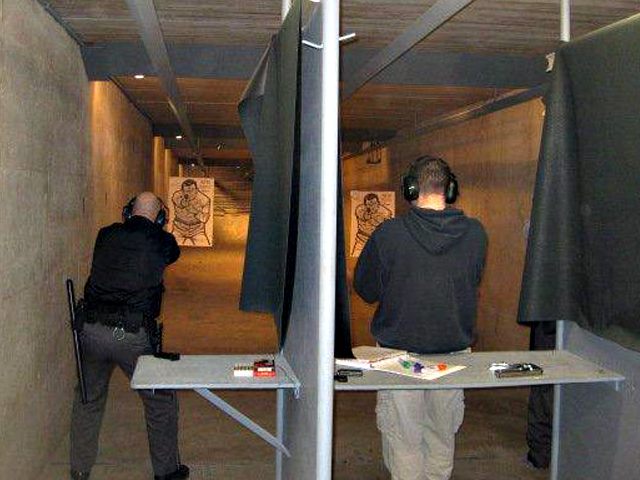 If you are looking to get your conceal carry license, come to one of the conceal carry classes at Daryl's Gun Shop. Our staff will answer any questions that you may have about your gun or address any concerns that you may have. Call us now or visit our Facebook page to find out when the next class is taking place and how you can become a part of it. You can also search for us on Twitter, Yelp, and Google Plus. We can supply all of your hunting and fishing equipment or firearm and ammo needs. Contact us today to learn more about the products that we offer near Waterloo, IA. © 2015 Daryl's Gun Shop, Inc.